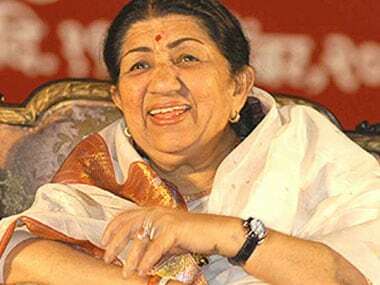 Veteran singer Lata Mangeshkar has filed an FIR against a woman who has been duping the public by collecting donations in her name. The Indian Express reports that Mangeshkar directed her close associate to file an FIR against Mumbai resident Revati Khare at the Gamdevi police station. Khare has been accused of cheating and forgery. She has allegedly been distributing invitation cards purportedly signed and stamped by Mangeshkar and collecting money from people at various events in the city, in exchange of a promise of a future performance by Mangeshkar in their social circles. DNA quotes Dnyaneshwar Chavan, Deputy Commissioner of Police, Zone 2, as saying, "We have not made an arrest in the case yet, and are trying to find out how many people the woman has cheated so far." Khare is absconding and the police are on the lookout for her. The Indian Express quotes Mangeshkar's niece Rachna as saying, "Taai (Mangeshkar) was really disturbed by the fact that someone was actually cheating by using her name. She is feeling very bad that innocent people had to suffer. She was not angry, but sad. So, she asked us to file a complaint with the police so those innocent people who had to suffer can get justice."